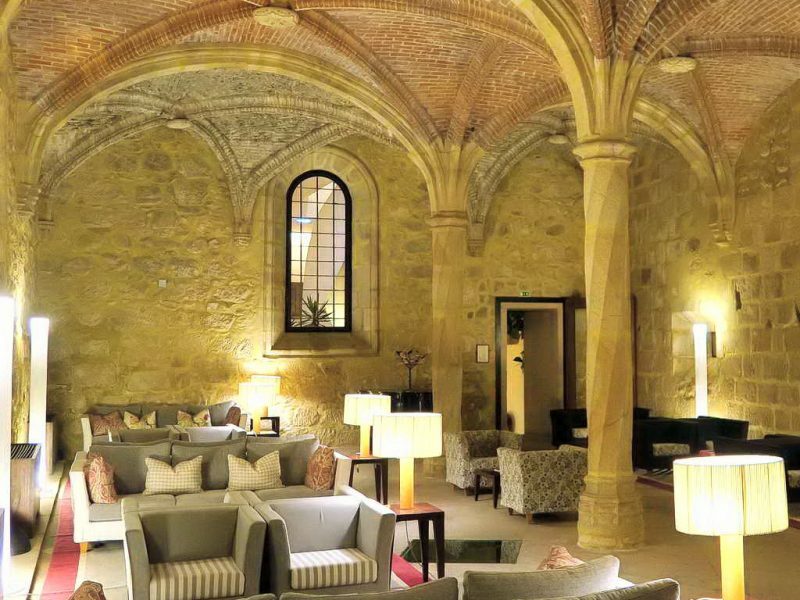 This is a gorgeous Road Bike Tour in Portugal which takes you to several Castles, Palaces, Monasteries and Convents; these magnificent places were once inhabited by the clergy or the Queens and Kings of Portugal and now are converted into exquisite lodgings, which we call POUSADAS. 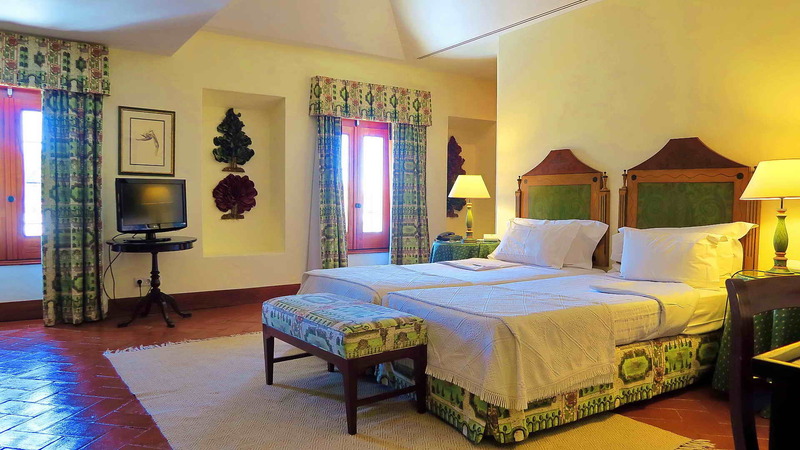 The overall difficulty level of this tour is 3, Intermediate (more precisely, level 2.8 between 1~5). It is recommended for “bikers” and “cyclists”. 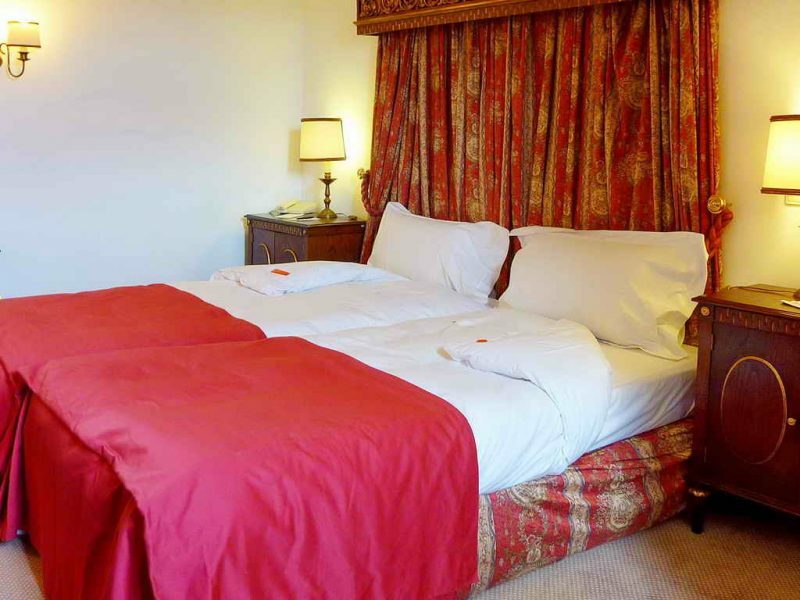 It is supposed that you are in good shape. 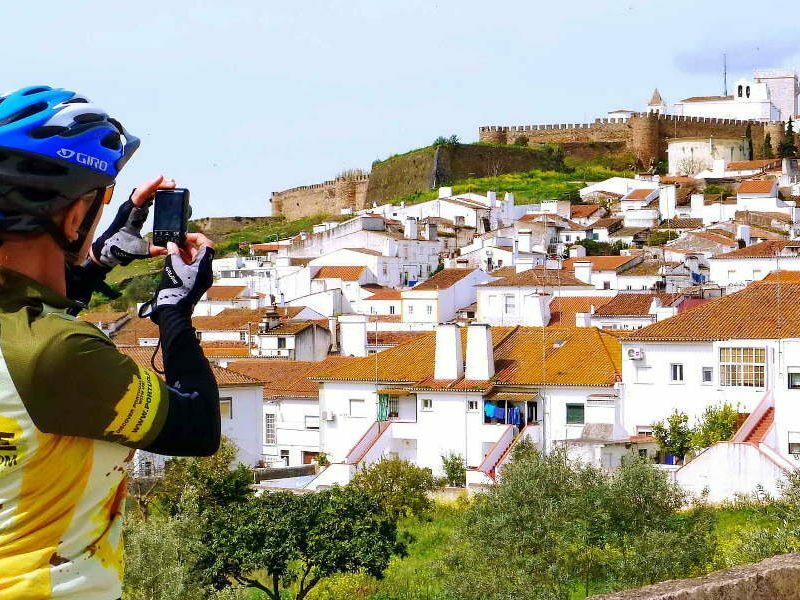 This Bike Tour in Portugal starts in Marvao, a small medieval town on the top of the hill, surrounded by walls and with a majestic castle that defended this small town from the Spanish people many times. There you can admire a spectacular view before you start riding down. 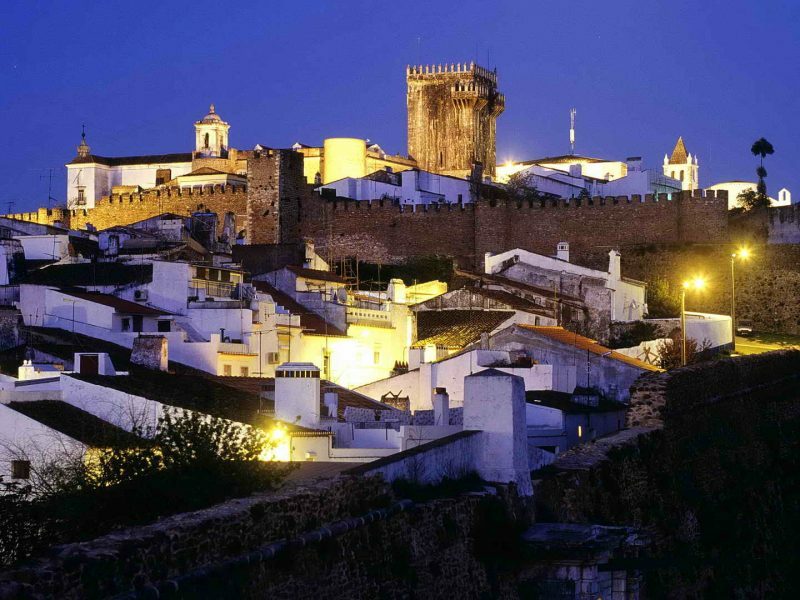 Afterwards, you will climb to a little chapel on the top of a hill where there is an amazing view over another medieval town, and its rows of whitewashed houses. 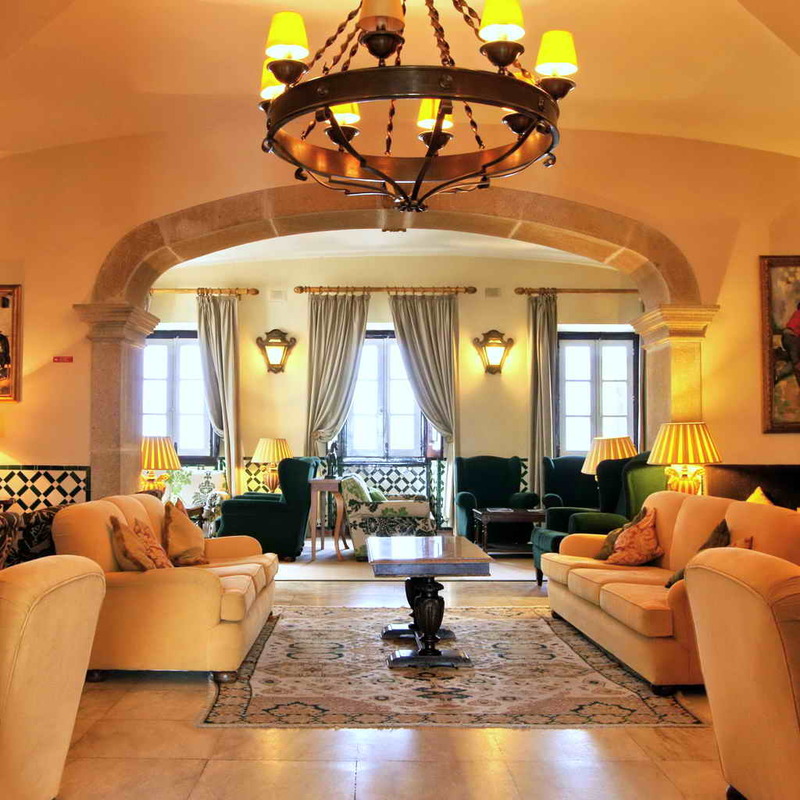 You will ride along narrow roads, either sided by cork trees or stone walls and you will get to a quiet place, where you will stay in an amazing building that was once a convent and today is a luxury hotel. 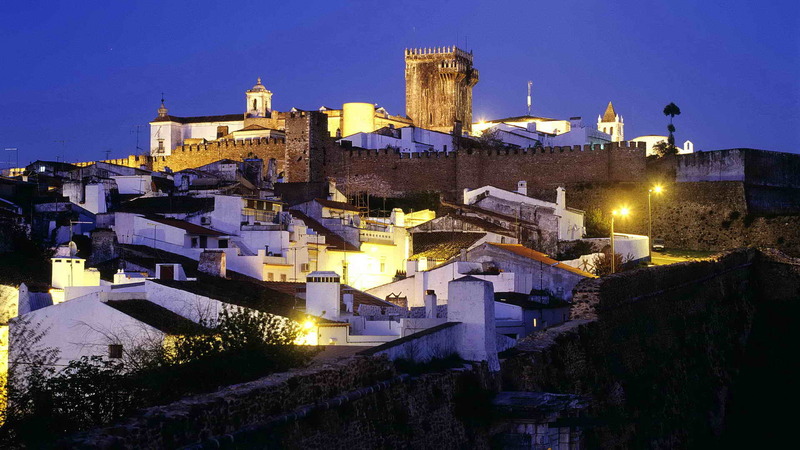 On the next day you will ride towards one of the most traditional wine regions in Portugal. 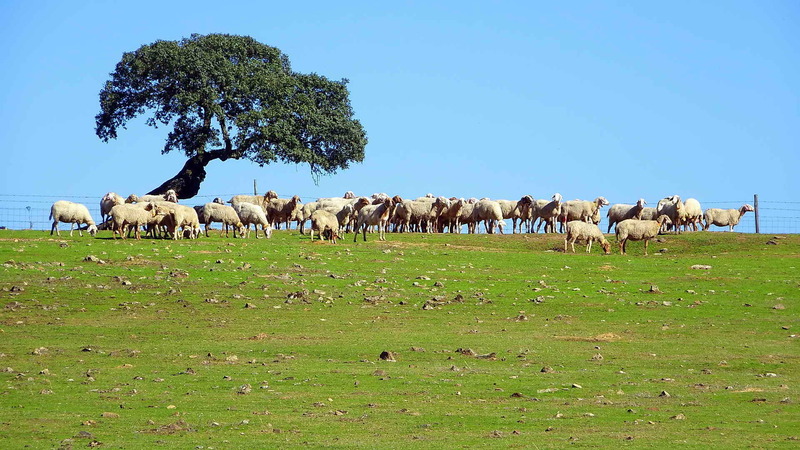 You can visit a vineyard and taste the world famous Alentejo wine. The ride continues to the capital of marble in Portugal, where even the sidewalks are made of marble. You will also visit a pottery workshop. 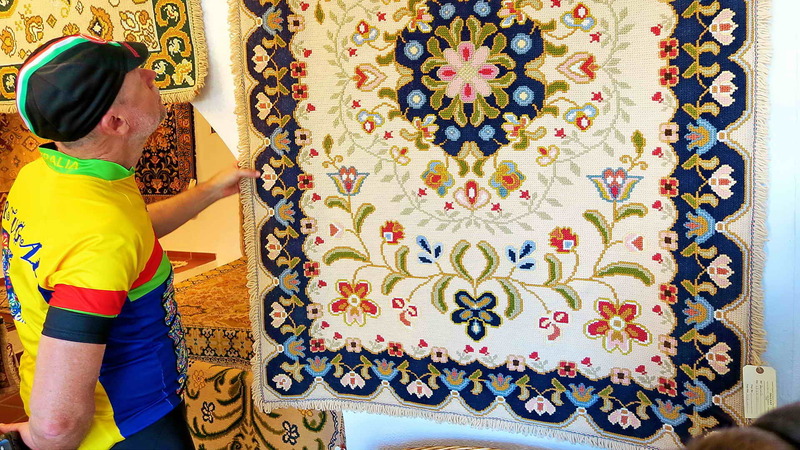 The cycling day ends at a small town which is famous for its rugs that are still handmade following a tradition that is documented since the 17th century. 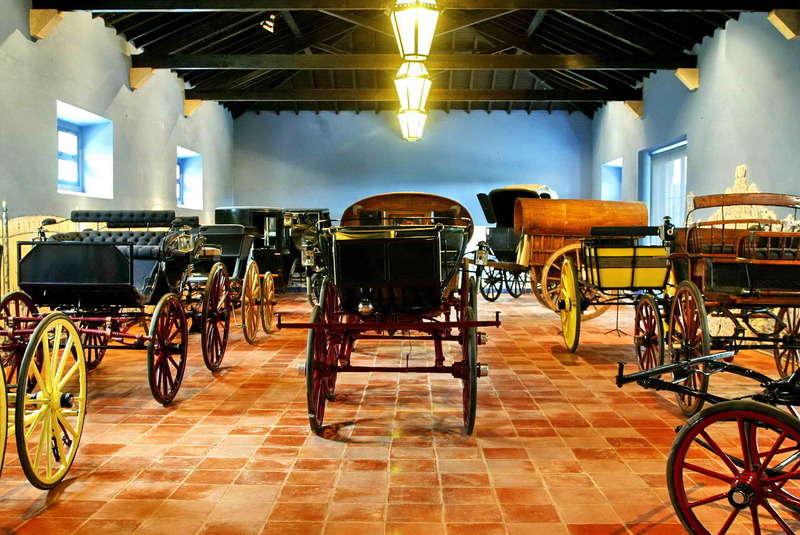 We also visit a Winery, which includes an amazing collection of carriages from the 18th to the 20th centuries. 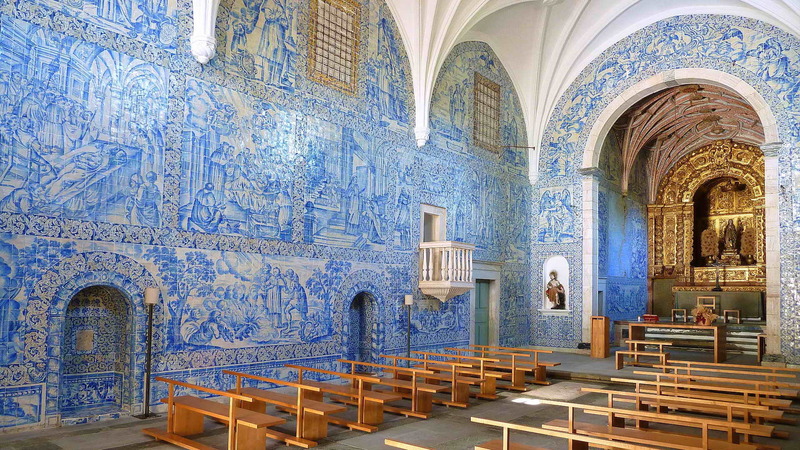 This PortugalBike Tour ends in Evora, which is the largest town in Alentejo. 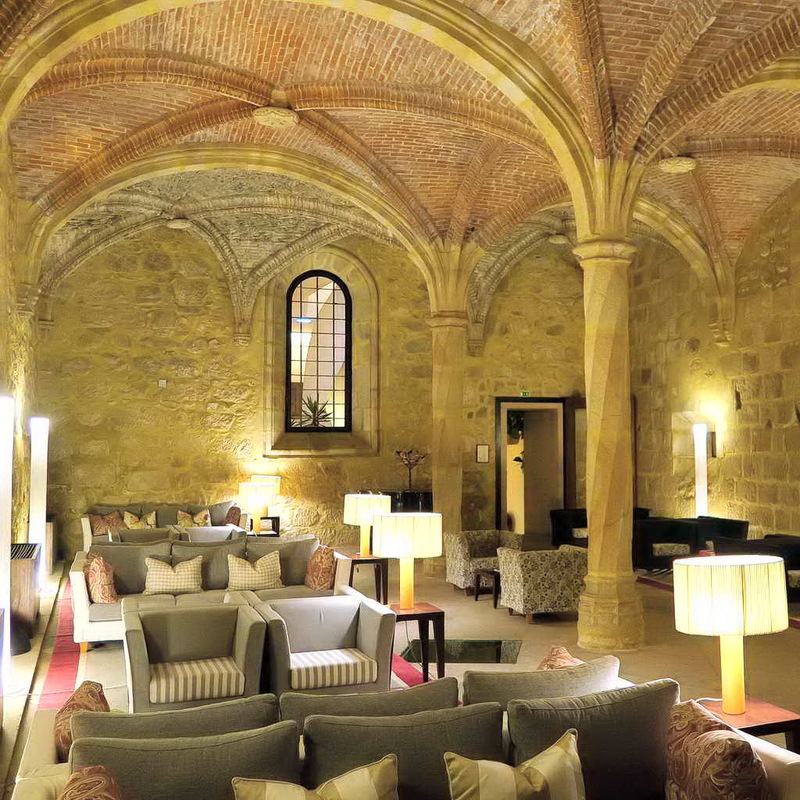 This is a wonderful walled town with many Roman vestiges, medieval churches and buildings, fountains, the aqueduct, charming streets, etc., that is classified as World Heritage by UNESCO. 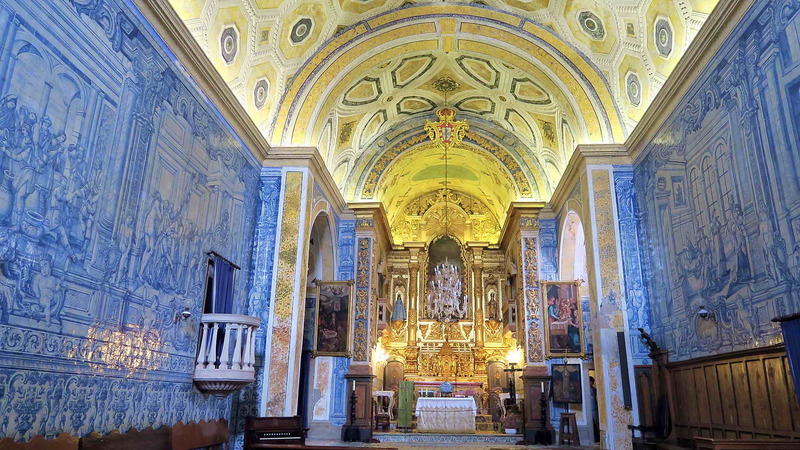 7-day road bike tour with a Guide | Superior quality bicycle rental | Transfers from and to Lisbon Airport | Accommodations (6 nights in Pousadas – luxury Historic Hotels): one luxury Convent, one 14th Monastery, one 13th century Palacelike, two 16th century Convents and one Typical house | Double bedroom occupancy | 6 Breakfasts | 6 Dinners (including our famous wines, our cheeses and lovely desserts) | 4 nourishing and energetic picnics | Daily energy-bars and water | Luggage transport from Pousada to Pousada | Documentation about PortugalBike Tour | Personal Accident Insurance and Liability Insurance | First-Aid assistance on location | Techno-Mechanical Assistance | Permanent Backup Vehicle | Visit to a Pottery Workshop | Visit to two wineries and wine tasting | Visit to a Carriage Driving Museum. 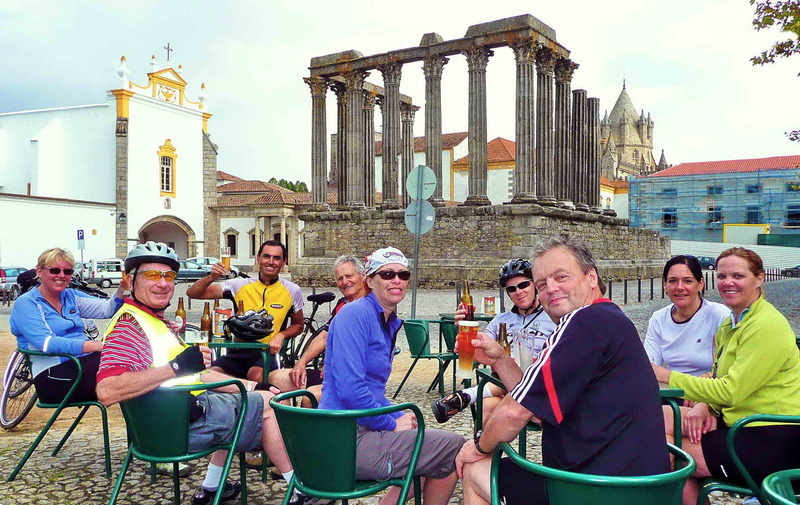 Groups: Discount for Groups of 4 or more people | E-bike rental: + Euro 150 | If you wish a different date, ask us for prices and availability | Longer tour: You can join two PortugalBike Tours and have a 2-week program (10% discount on the second tour). Welcome at Lisbon airport. 3H00 drive to Marvão. Briefing about the tour. 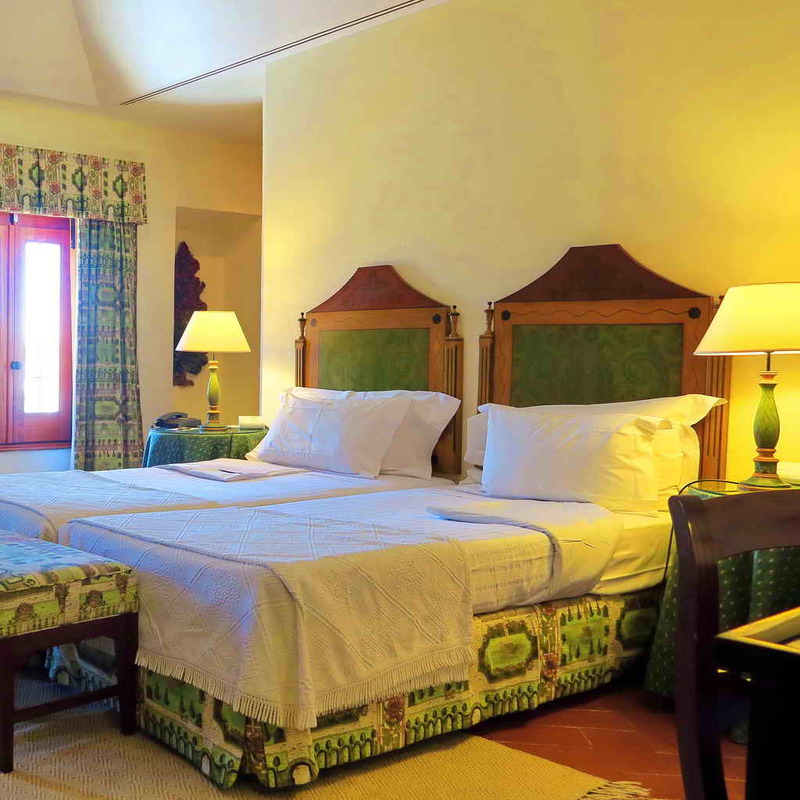 Lodging in a Pousada with a cozy ambience and almost family atmosphere. 48km (30mi), 610m total climbing (2000ft), level 3 (2.9). 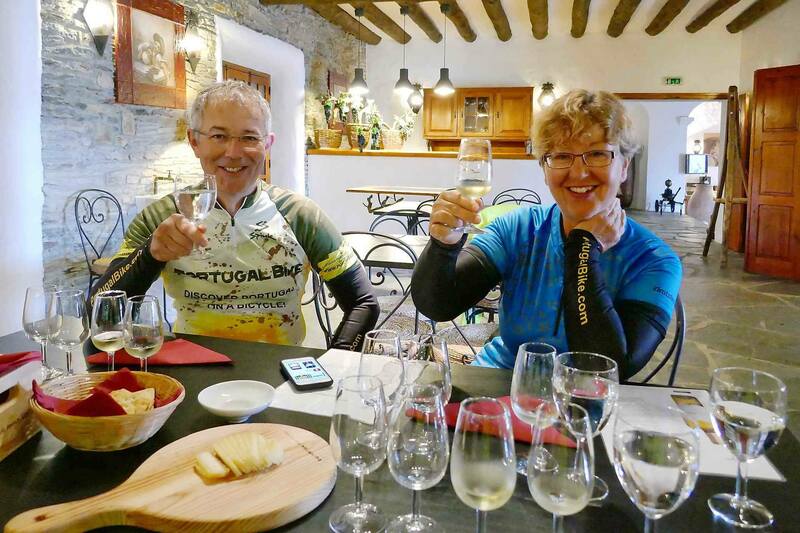 After breakfast we ride down from the medieval village of Marvão on the top and we ride into the Natural Park of São Mamede Hills. Here Nature and History embrace each other. It seems time has stopped! …Everything is quiet. 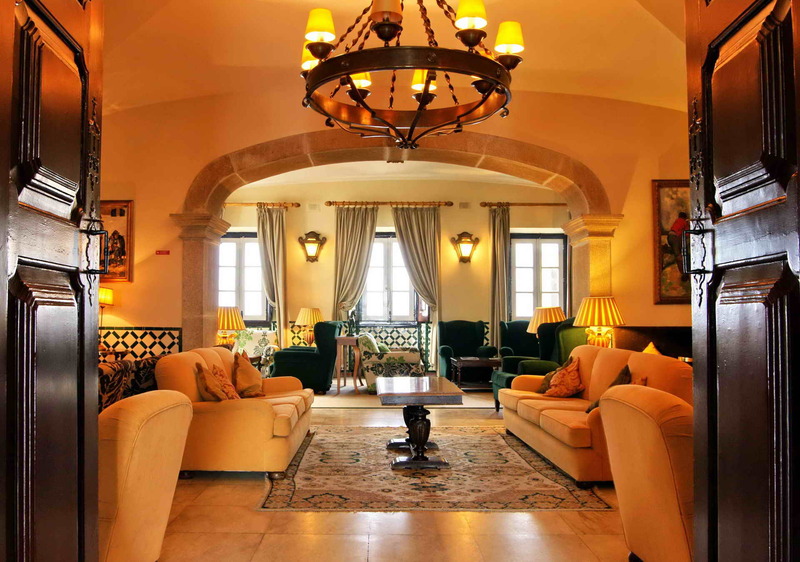 Lodging in a Pousada that manages to combine the genuine characteristics of the former convent with modern luxury. 67km (42mi), 900m total climbing (2950ft), level 4 (3.7). 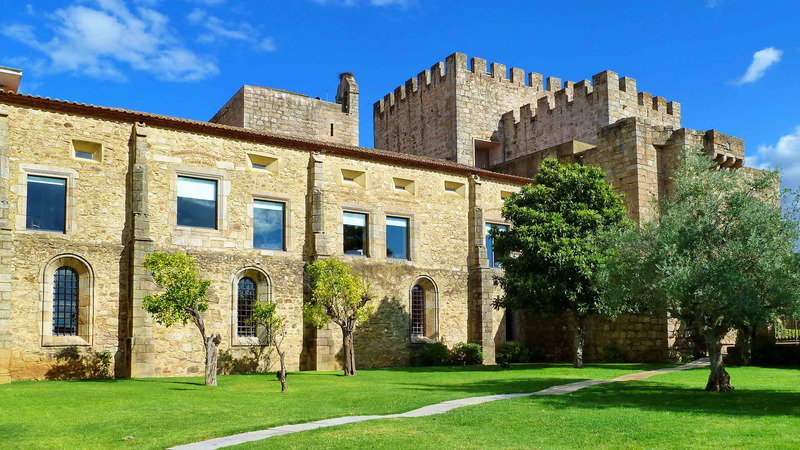 After breakfast we leave the Monastery and ride towards small villages where we can admire the whitewashed houses with a yellow or blue stripe, the roads sided by trees, beautiful manor houses dated from the 17th and 18th centuries and we can also visit the small castle. 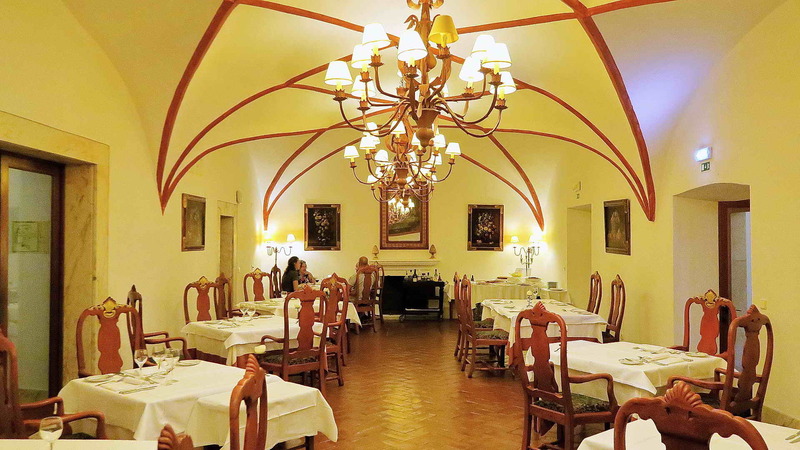 The day ends in a small town, the land of marble and wine. 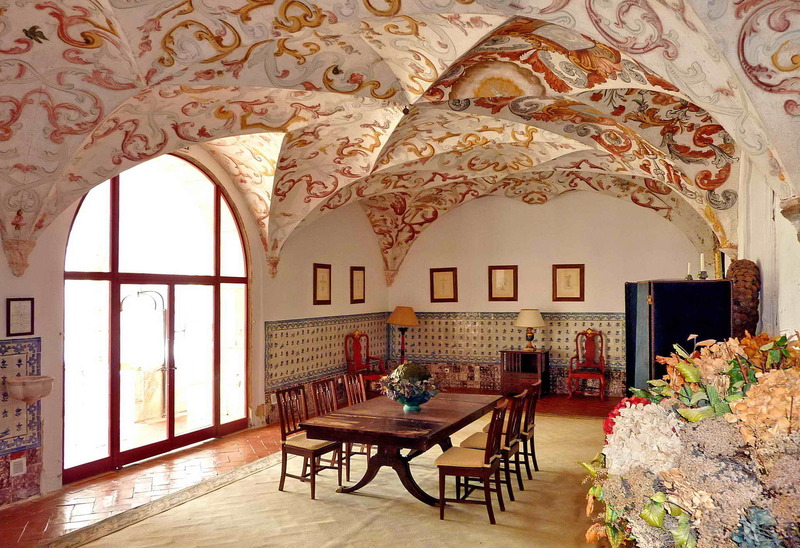 Lodging in a castle converted into Pousada from where you can admire a superb view over the city and the vast Alentejo plain. 42km (26mi), 380m total climbing (1250ft), level 2 (2.3). After breakfast we visit a winery and taste the wine. 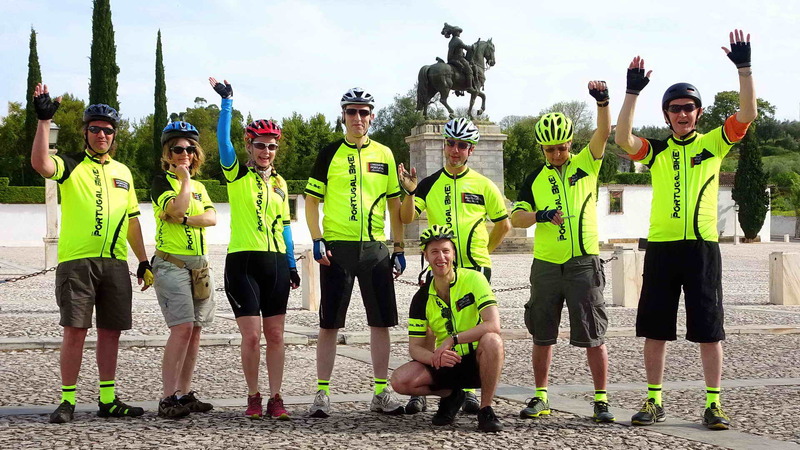 Then we ride towards the capital of marble in Portugal. 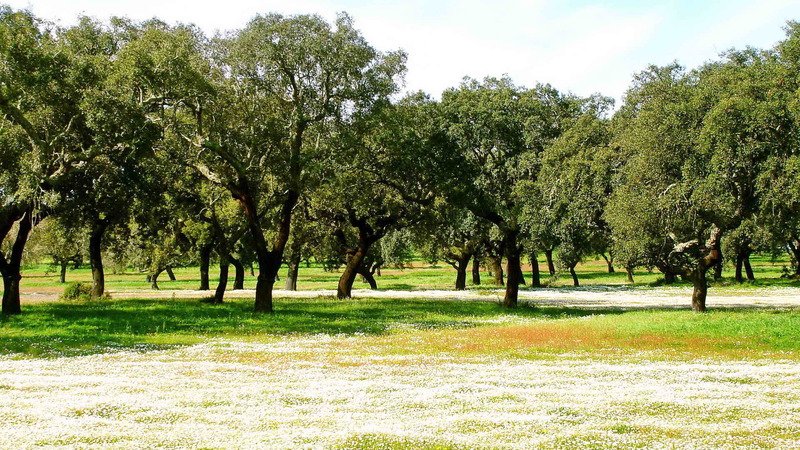 This is a quiet small town in Alentejo where even the sidewalks are made of marble. 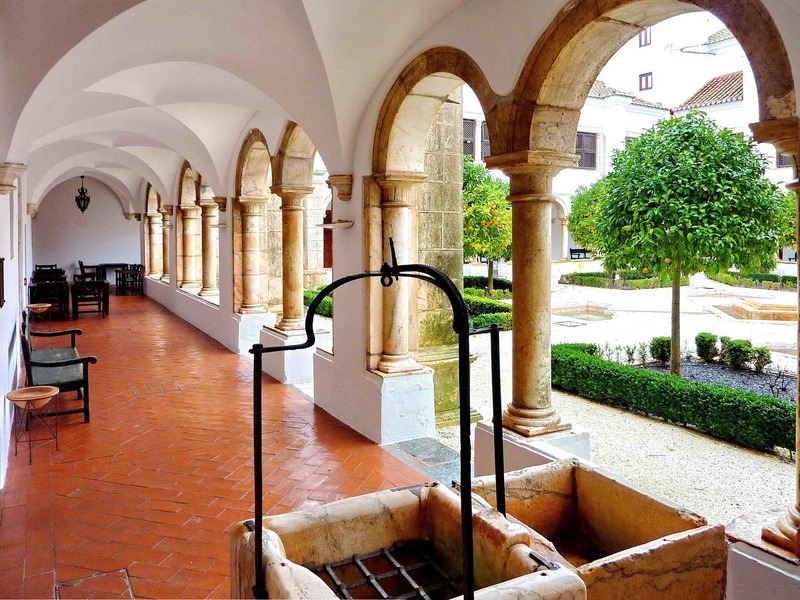 You can visit the small Marble Museum where you can learn how the marble was extracted in the past and how it is extracted nowadays. 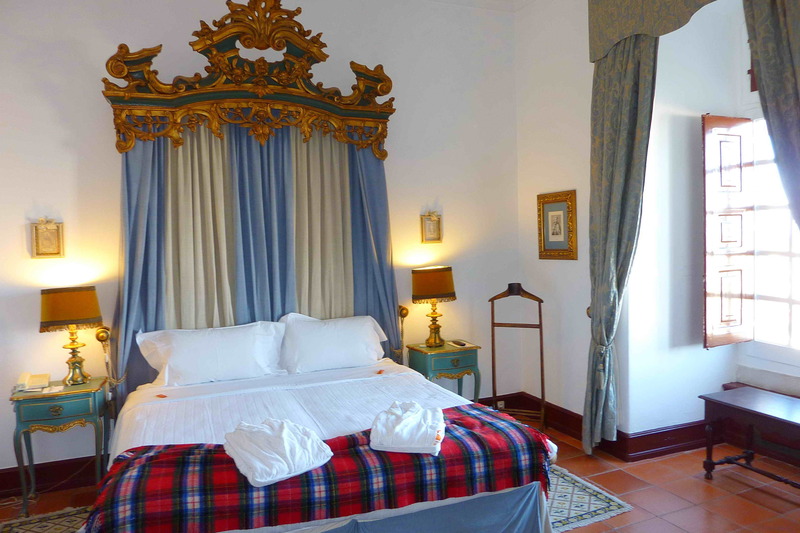 Lodging in a Pousada that was once a Convent. It is full of legends and tales. 71km (44mi), 890m total climbing (2920ft), level 4 (3.7). After breakfast we ride to a pottery workshop. 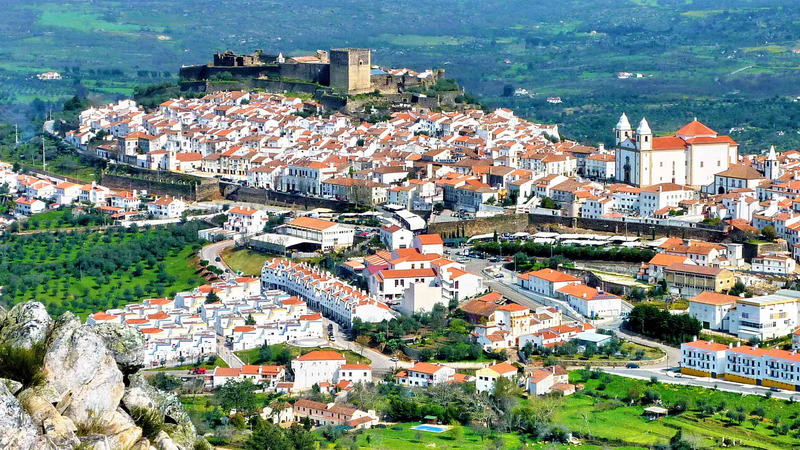 Our way leads us to a small town in Alentejo with its whitewashed houses. 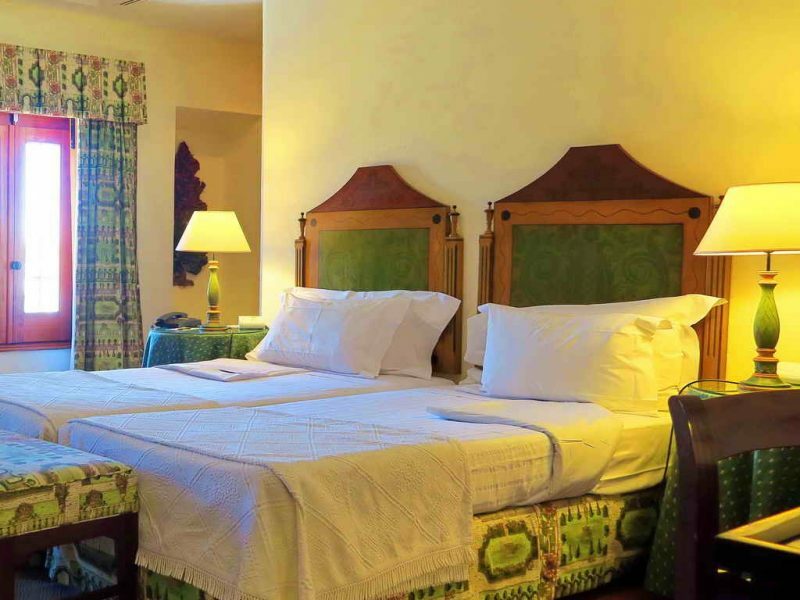 This town is famous for its rugs. 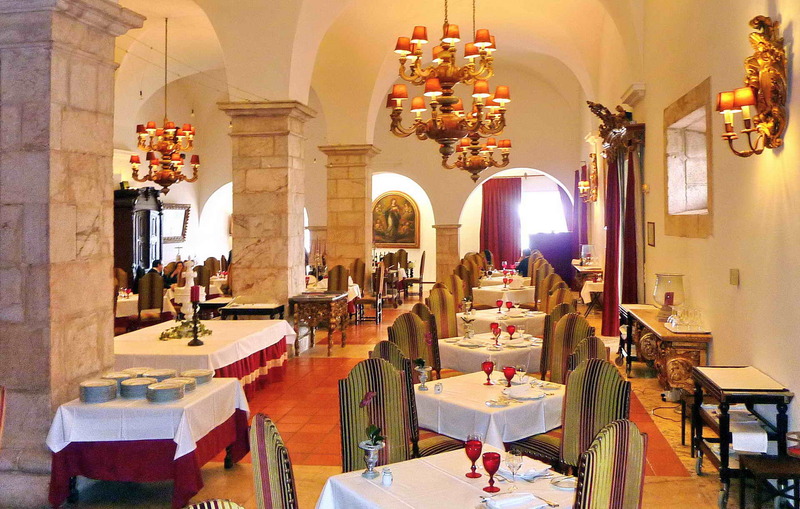 In the afternoon visit to a winery with a collection of carriages (guided tours only). 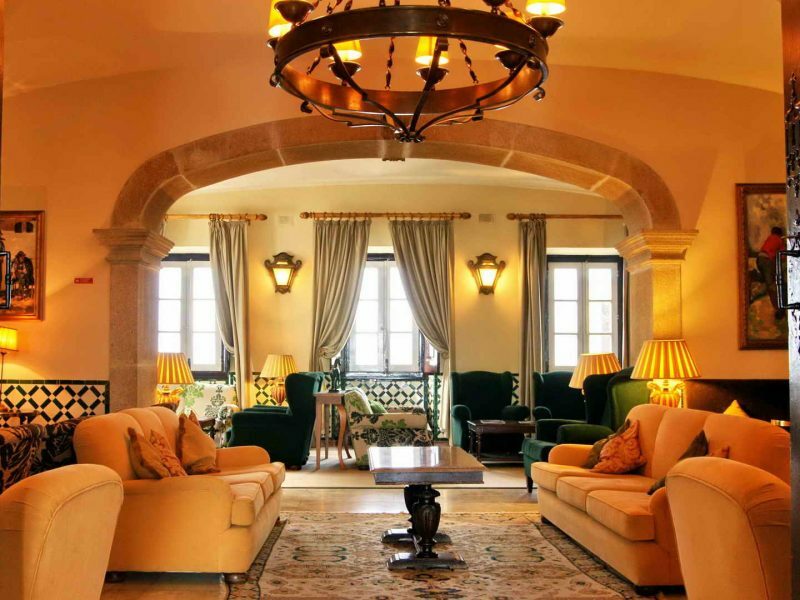 Lodging in a Pousada which is an example of perfect harmony between the traditional and modern concepts of Portuguese architecture. 24km (15mi), 270m total climbing (890ft), level 1 (1.2). 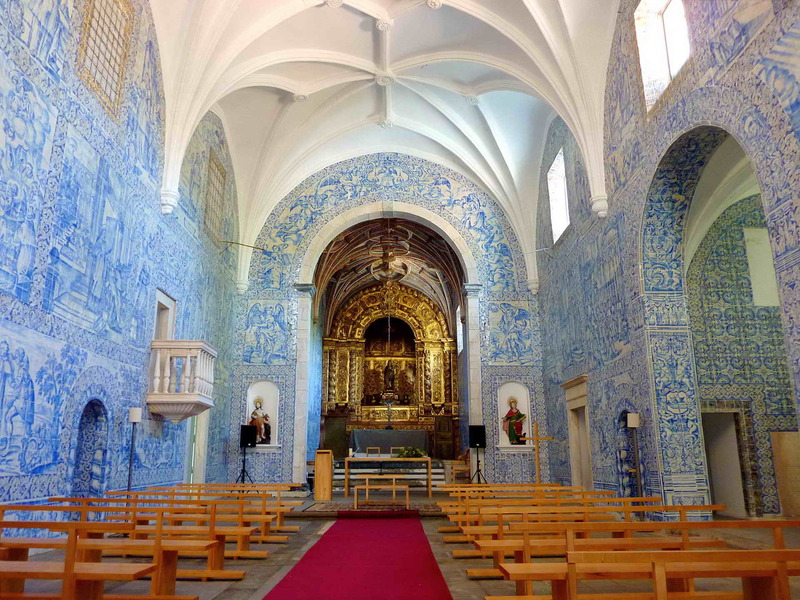 Our tour leads us to Evora, a city classified as World Heritage by UNESCO. 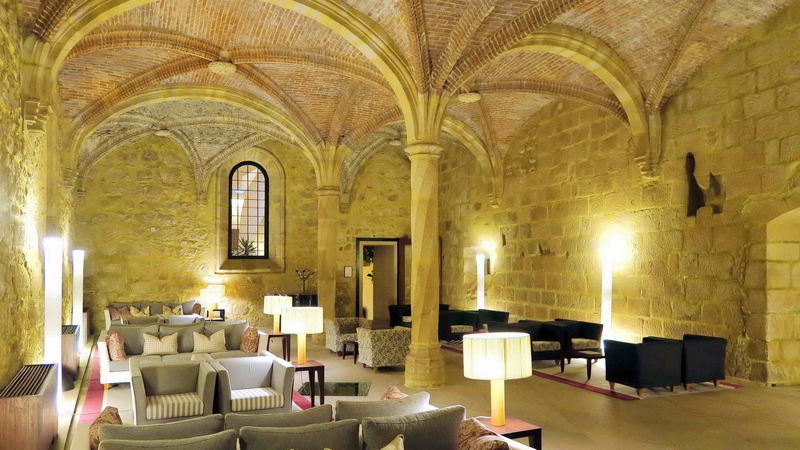 You will have the afternoon free to wander around the city where you can find evidences of 2000 years of History. 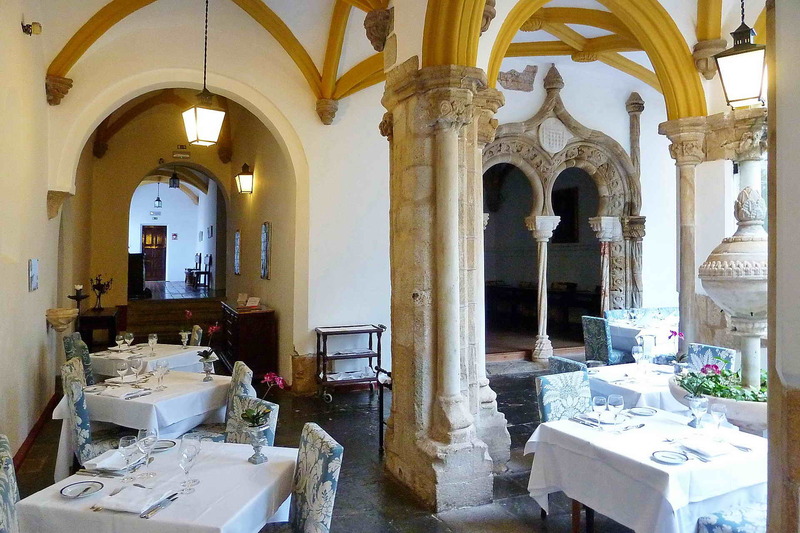 Lodging in a Pousada, which was originally a convent and is one of the most precious architectural buildings of this town. 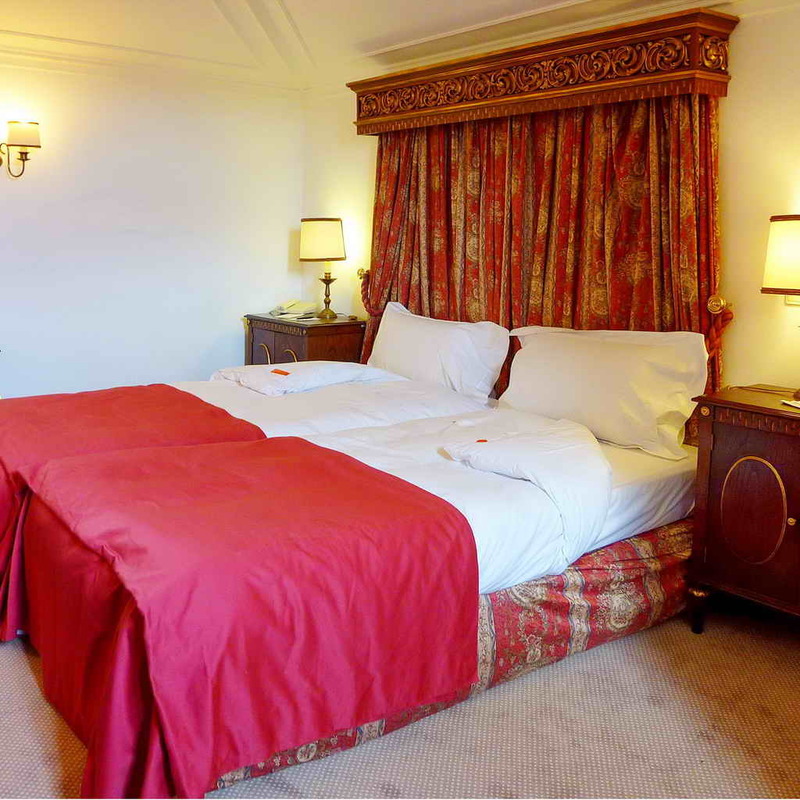 After breakfast we leave to Lisbon airport – 2H00 drive. 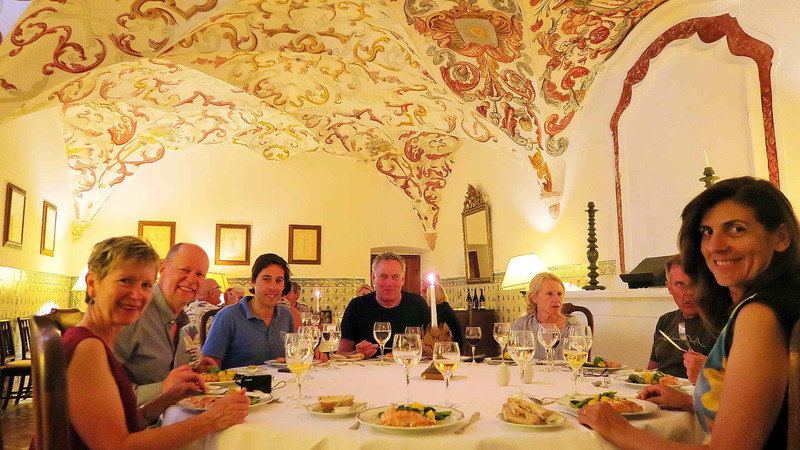 “We just completed a six day bike trip with Portugal Bike, exploring the Charming Pousadas of Alentejo. 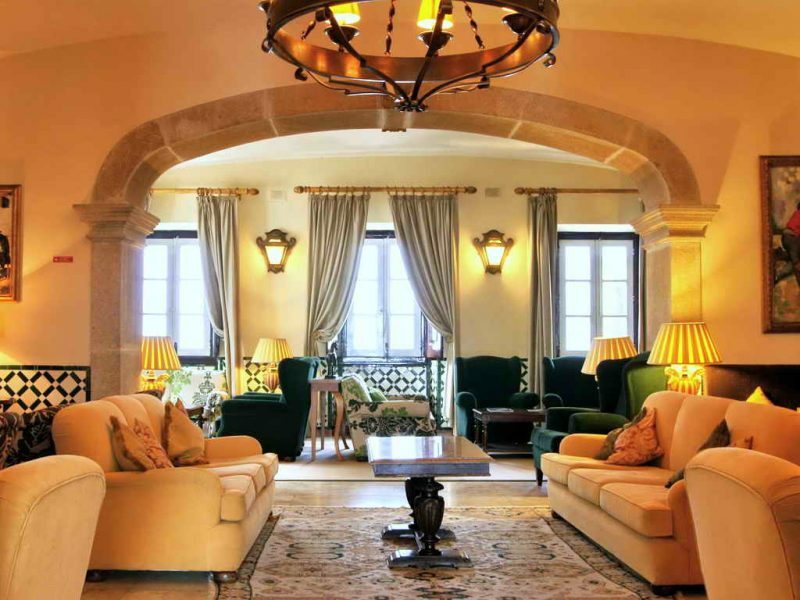 There was no detail missed by the owners Jose and Christina who were not only charming, informative and fun, but took such good care of us, we didn’t want to get out of the van at the train station on our return to Lisbon. We learned everything one could need to know about cork which was fascinating, not to mention a multitude of other subjects ranging from historical to cultural to gastronomical, all this while enjoying a great bike ride every day, wonderful accommodation and great meals, especially the picnics Christina made for us every lunch. Sporster 20 Solution emphasizes comfort and convenience for touring and transportation. Equipped with a lockout fork and Syncros components, the Sportster is set up perfectly for your excursions with a more vertical and comfortable position. 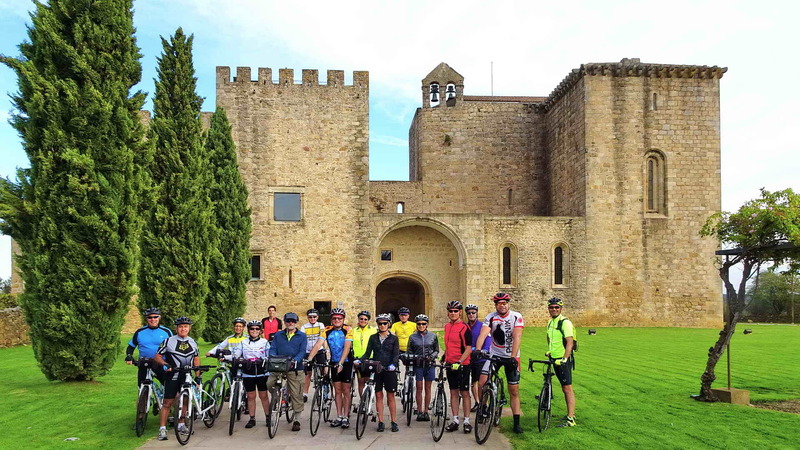 On this Road Bike tour you will ride with thinner tires (700×28).